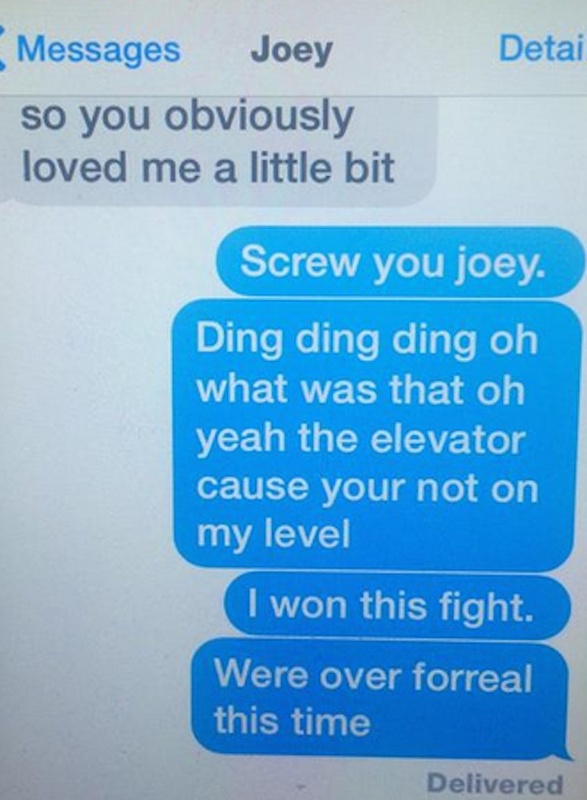 17-year-old Texan, Madi Nickens, tweeted screenshots of her younger sister’s breakup texts, that are bound to send you into hysterical laughter. 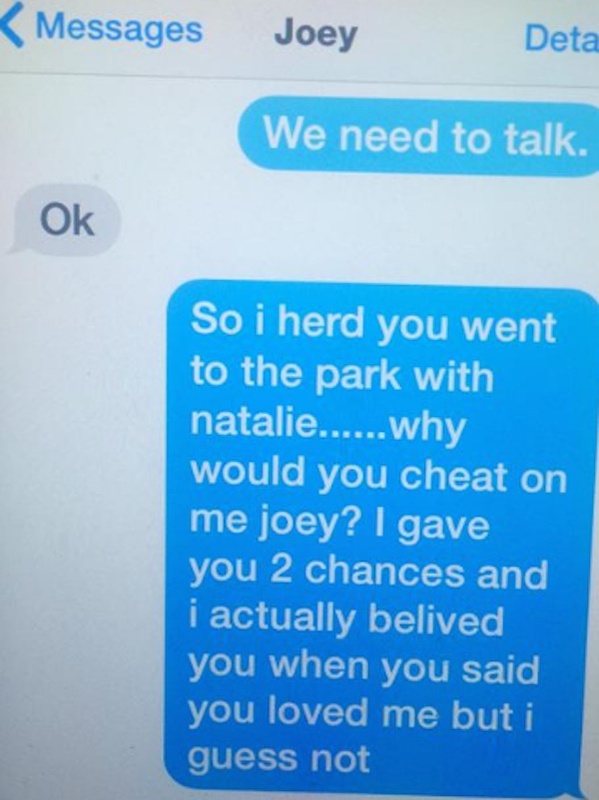 The texts are sent by her 11-year-old sister when she found out her boyfriend, Joey, went to the park with another girl. 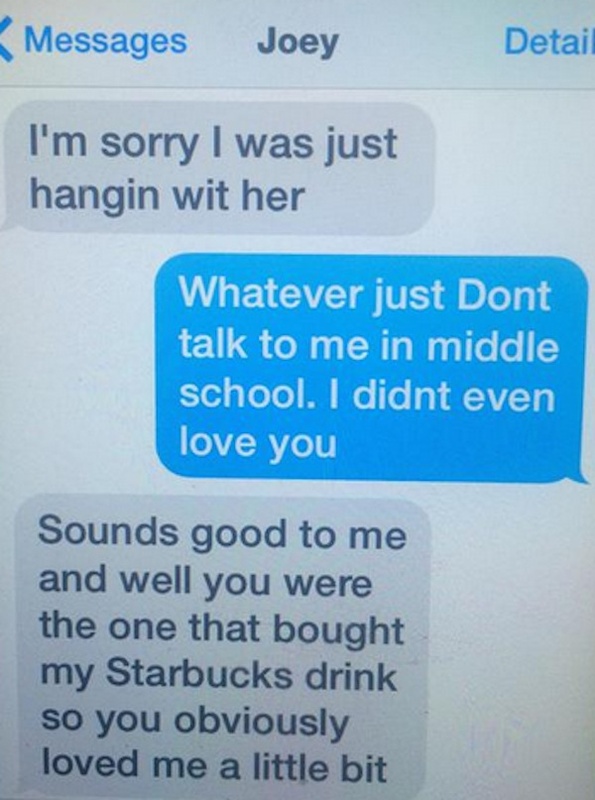 Take a look at how this preteen handles her first breakup like a pro! She even gave him two chances. Wait…is he being serious about the Starbucks thing? This girl has mad breakup style ladies and gentlemen!